The Memorial Candle Program has been designed to help offset the costs associated with the hosting this Tribute Website in perpetuity. Through the lighting of a memorial candle, your thoughtful gesture will be recorded in the Book of Memories and the proceeds will go directly towards helping ensure that the family and friends of Mary Simpson can continue to memorialize, re-visit, interact with each other and enhance this tribute for future generations. Peacefully surrounded by her loving birds, at the Brantford General Hospital on Tuesday July 31, 2018. Mary (nee Vanexem) in her 59th year. 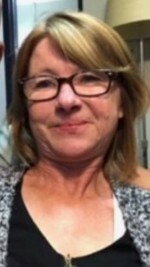 Beloved Wife of the late Doug Simpson (2018) for 38 years. Loving Mommy Bird of Jenny (Justin) Stone, Jamie (Nicole), Jessica (Gary). Cherished grandma of Ragine, Tanner and soon to come baby Simpson. Dear Daughter of Andrew & the late Paula Vanexem. Mary will be fondly remembered by her brothers, sisters, family & friends and her boys Bee & Bear.